A certain form of racing has become popular this year; roll racing, or roll drags. Competitors get a rolling start, and once they reach a certain point on the track it’s pedal to the metal. First to cross the finish line wins, no ifs or buts. Elimination rounds are nail bitingly exciting, especially when power packed behemoths cross paths in the later stages. 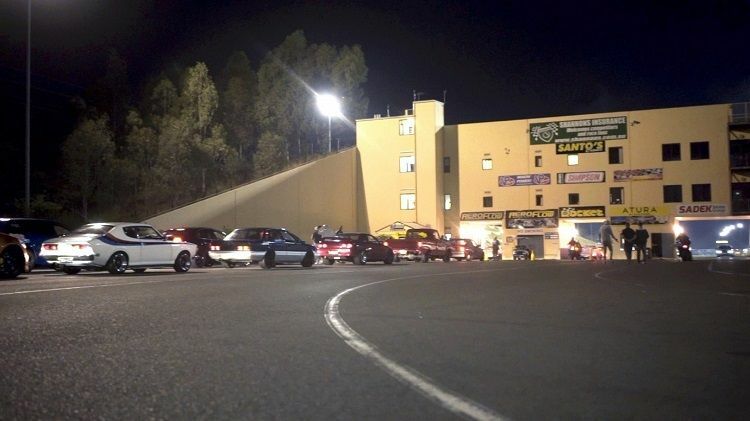 With only just one run to decide the winner, roll drags or roll racing makes for an exciting and entertaining spectacle. It all boils down to who crosses the finish line first wins, whether by an inch or a mile! A drag way is probably the least expected place to stumble upon a Porsche. 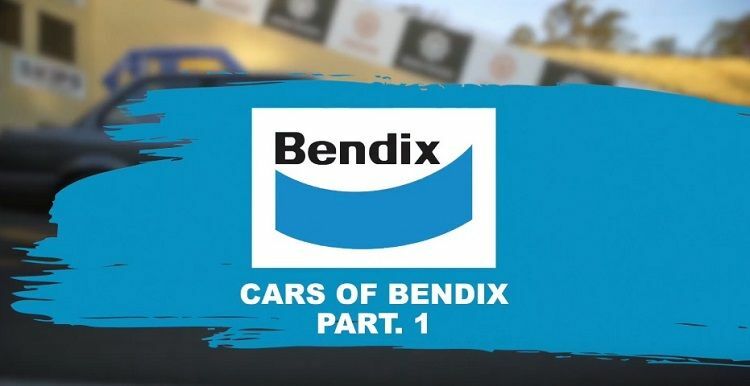 What’s a 911 Carrera mucking about with Holdens, Fords or other common imports? Arthur is no stranger to hard work though, as his 911 Supersport has all the right ingredients to get down and dirty. It’s been modified largely by the owner himself, even extending to the rebuilt 3.2L boxer engine nestled in the rear. A massive Precision 6466 turbo pumps enough PSI to require forged and stroked internals. Combined with an Autronic ECU, the 911 makes an autobahn shattering 513rwKW. All that weight over the wide 18x12in wheels with 305 wide ET Street tyres still struggle to contain the power, as Arthur has only managed to run 11secs at 133mph. The front relies on just 17x8.5in wheels to direct the 911’s nose. Stopping the Porsche blitzkrieg are massive NASCAR Brembo brake calipers, equipped with Bendix Race brake pads. Just freshly built, Arthur has been itching to put it up against the competition. Watch out for this ‘bahn-stormer coming to a drag strip near you! If Mad Max drove a Holden, he would be driving this. 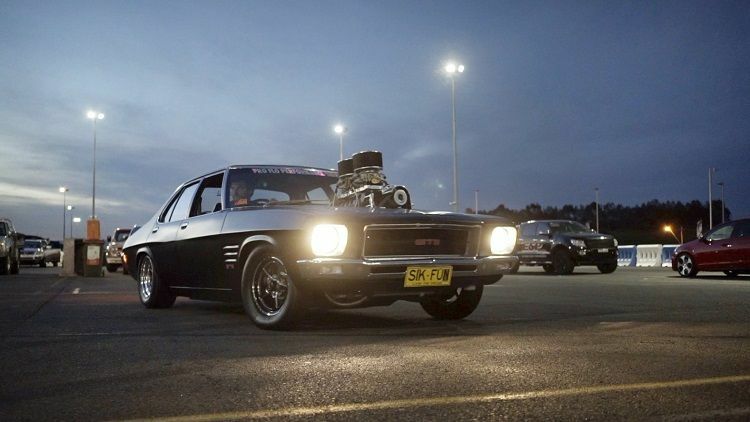 Anthony’s 1972 Holden Monaro GTS HQ was restored and given a matte evil black paint job, with subtle dark blue stripes. It’s lowered on forged Weld drag racing wheels, and of course, a massive 14-71 blower sticking up through the bonnet. Under the supercharger lies a 500ci big block Chev that has a nasty cam in it, evident from the choppy and thumping idle as Anthony rolls around the staging area. Sending all that power to the rear, untubbed wheels is an automatic TH350, with a high stall to help it launch off the line. It’s the Monaro’s first time out racing since being rebuilt by Pro Flo Performance, and Anthony is all about having fun at the roll drags. Brent’s pride and joy has been in his care for over 9 years. Not too long ago, the Datto’s final form came together, with the janky Nissan motor tossed out in favour of a turbocharged 13B rotary engine. The brap generator was bridgeported and force fed air via a Garrett GT40 turbo, while sweet E85 made everything go bang safely inside the magic spinning triangles. Everyone knows while manuals get…ladies of questionable morals, automatics wins races. A 3 speed Jatco box transmits 450rwhp to the 15x10in rear Weld RTS wheels, with the rear chassis mini-tubbed for wheel clearance. It’s important to also look good while going fast, so the exterior has been fully resprayed in exotic purple. The interior has been retrimmed with leather, along with a roll cage and custom bucket seats. The dashboard also been updated with new gauges, as well as an electronic instrument cluster to keep an eye on vitals. The outdated rear lights have been swapped out for LED ones that mimic the Skyline GTR 32. The tiny monster is something to be reckoned with too; Brent has piloted the Datto to a 10.1 sec quarter mile pass. A rather ordinary looking GTR 32 caught our attention as it was lining up to go racing; it had insanely massive rear tyres compared to the front. Normally drag strip GTRs tend to have equally sized tyres front and rear to take advantage of their grippy all wheel drivetrain. This prompted us to have a chat with Dave, the owner. When he opened the bonnet, we understood. The fabled RB26DETT was gone, replaced by the newer, more reliable VQ35DE HR from the facelifted Nissan 350Z. To keep it from blowing up, Dave rebuilt the engine with forged internals, reconditioned the heads, and basically replaced every component he could with stronger items. Why? That’s because the V6 is equipped with extra firepower in the form of two Borgwarner EFR turbochargers. Culled from Indycars, these high tech turbochargers are only pumping 10PSI, as Dave is still running the rebuilt engine in. The famed ATTESSA all wheel drive system has been ripped out in favour of a simpler, lighter rear wheel drive setup, with a sequential gearbox sitting between the rear diff and the engine. Determined to go down a path less travelled, Dave tuned the car using a Syvecs ECU, and a fully customizable Plex SDM 700 display. Massive NASCAR Brembo calipers on 2-piece rotors front and rear are employed to anchor the GTR. 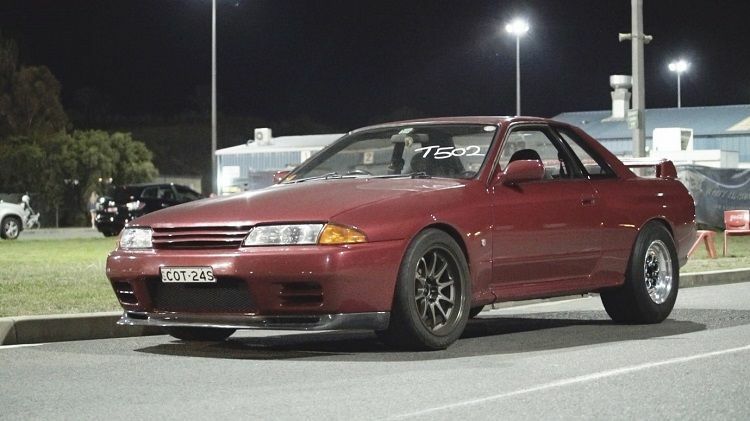 Punching out 520rwKw, on a run in tune, there’s more to come from this Godzilla with a heart transplant. 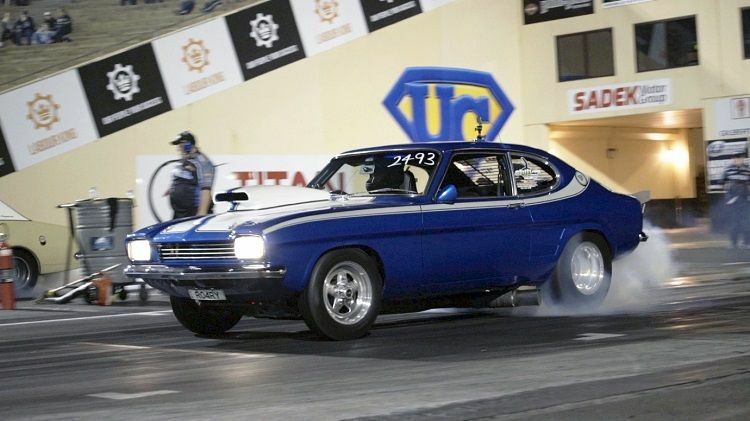 Anyone into drag racing and V8s would know who Tristan ‘Tricky’ Triccas is. One half of the defunct tuning shop Tricky and Mansweto, Tristan now runs Affordable Race Parts (ARP), and this is his weekend street cruiser. A 880hp, 308kph (before running out of road), 8sec to 400m, weekend cruiser. Let that sink in. Buying the Ford Capri with the bodywork restored and the small block Windsor running at 650hp, Tristan decided that Roary (named by his son) needed a bit more livening up for his tastes. As a famed engine builder and mechanic, he pulled the motor himself, ported the heads, added a grumpier cam, up the compression, and stuck on a very big carburettor. Yes folks, this is all pure muscle, no turbo required. 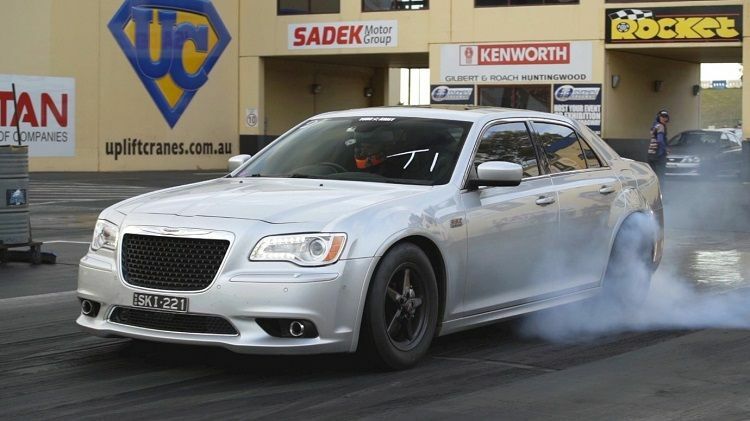 And just for giggles, the Windsor snorts a hefty 320hp shot of nitrous to get up and boogie. In an effort to actually hear himself think while driving, Tristan packed the interior with Dynamat and sound deadening, so he can actually cruise with his kids in the back seats and the wife. It even has air conditioning! His plans? “To run a 7secs pass, before dialling it back for the street,” Tristan smiles. When Sam’s Camaro SS rolled into view, we collectively thought that this was a Fast and Furious car. It’s definitely a car that Dominic Torretto would roll in, thanks to a shiny and massive 4/71 supercharger sticking out of the bonnet, with throttle butterflies shimmying open and close. The 468ci small block Chev under it is fuel injected thanks to an ECU from EMS. Prepped by Pro Flo Performance, it makes over 800hp at the wheels. 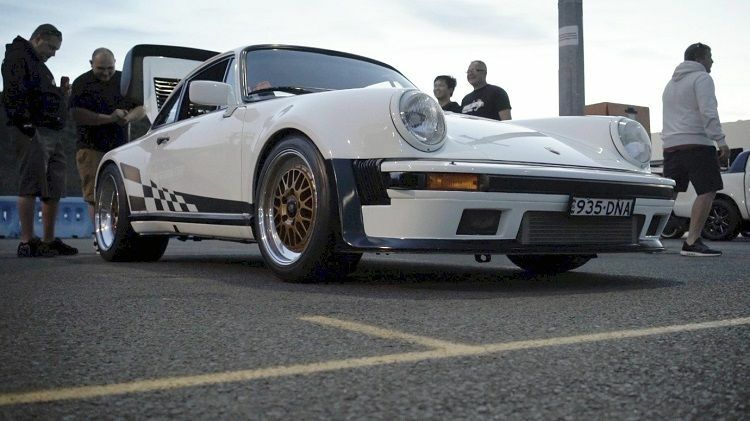 To channel that power, a manualized Turbo 400 works in conjunction with the mini tubbed rear end, 9in diff and four link rear suspension to help the 22x10in Billet Shop wheels chew the tarmac. Step back and look at the ‘69 Camaro as a whole, and it’s stunning. Easily the best looking car of the 60s era, the Camaro’s classic shape is painted in Ferrari deep blue. It’s accented with two black stripes running down the centre of it for a true muscle look.